"Want to gain expertise in VLSI field? there is no better Institute than RV-VLSI & RV-VLSI faculty methods of teaching are unique and special” Hi friends, if you want to start a career in VLSI field and don’t know where to start, think no more and join RV-VLSI. My journey in RV-VLSI was like time travelling because it still feels like I joined here just yesterday. I still remember the first day of class where the CEO Venkatesh Prasad Sir took class for us, that class thought me the most important lessons which I will keep with me forever. Thank you Venkatesh Prasad Sir, your the most inspiring person that I have ever met. The facilities provided by RV-VLSI is very close to industry standards and you will be treated like a professional. Coming to the faculty, they are the best and their methods of teaching are unique and special. As I was in Front-End Roopa ma’am handled full course for us, Ma’am teaches each and every topic uniquely and with many examples. There was never a situation where ma’am didn’t clear our questions or doubts. I am very grateful to Roopa ma’am, without the help of ma’am I would have never gained the technical knowledge that I have now. Thank you Roopa ma’am, your the most humble and knowledgeable lecturer that I have met till now. Last but not least I want to thank Manjula ma’am, without the help of Manjula ma’am I would have never cracked Intel interview. Manjula ma’am just took 2 or 3 hour class for us before the interview, trust me I learned so much in that class, each and every word during that class thought me something new. Finally I want to thank RV-VLSI Institute as a whole, each and every faculty present there. Thank you RV-VLSI I will never forget the memories that I made here. I have made the best choice by choosing RV VLSI I am Vishnu Vardhan (ADAD Batch 33) placed in Samsung India R&D. RV VLSI is the best place to start the career in VLSI, I can say. Its a great place to learn from the esteemed faculty and the environment created to learn is the most appreciated. The tools used here are on par with the industry requirements. I have made the best choice by choosing RV VLSI. All in all , the best institute for VLSI career. Training at RV-VLSI and my efforts made my interview a cakewalk An year and half long break after studies, i decided to work. I wanted to prove my self-worth not to anybody else but to myself. Then RV VLSI happened. I didn’t know what to expect before joining the institute. All I wanted was to get into the VLSI industry. I’ve joined in full custom layout design course in batch-35. Never before in my life I had taken something so seriously. Those six months, i must say, transformed me in a better way. I’m really thankful to Venky sir for being so supportive throughout, for inspiring to dream big, for teaching the concepts clearly, for patiently answering the doubts, for showing what professionalism is. I thank Chaitra ma’am, Rupa ma’am, Srinath sir for teaching RTL design, STA and PD exceptionally well. Finally my thanks to Manjula ma’am for understanding students needs and providing placement opportunities in top companies. With all the guidance, my hard-work, it was a cakewalk for me clearing the interview. I’m now placed in Synopsys in Analog and mixed signal layout domain. It wouldn’t have been possible for me without RV-VLSI and Venky sir. Hands-on tool experience at RV-VLSI made my job comfortable in Intel Provided me a good platform to enhance my skill and knowledge. Hands-on experience on the tools made me comfortable on my job. Thanks to the faculties for their guidance and support. You will realise the value of RV-VLSI only when you start attending Job interviews, Thanks RV-VLSI I was working in IT industry and RV-VLSI helped me get into the VLSI industry. The institute is different from other institutes and you will know the difference once you start attending interviews. The materials provided are good and if one is ready to work results are certain. The teaching staff were so efficient and were capable of clearing any doubts in the ASIC design flow. Overall environment provided is good for somone who is fresh to the industry. All the challenges i faced here helped me in interviews My self Kandhala Nikilesh. I am very happy to say this in RV-VLSI. I learnt many theoretical concept as well as the hands on experience on tools that we are work in industry under the guidance of Venky Sir (CEO), we faced many challenging situations in Layout which improved my skills. This institute(RV-VLSI) has a very good placements in almost all Top Companies. All the challenges i faced here helped me in interviews and motivation from Venky Sir (CEO) helped me a lot and I got placed in Samsung R & D were i got opportunity from RV-VLSI. RV-VLSI resources aren’t usually available in colleges, RV-VLSI is the place to learn new things RV-VLSI is the place to learn things that you usually wouldn’t learn from your college curriculum. With industry centric approach to the training of students, RV-VLSI gives you the perfect infrastructure so that you can use the resources to the most. These resources aren’t usually available in colleges; resources like the best tools in industry and constant support from faculties like Srinath Sir, Roopa Ma’am and Venky Sir. If you want to get into VLSI field RV-VLSI is the way to go. RV-VLSI service to student community & country is immeasurable, thank you. I am Prajwal of Batch 34, I am delighted to inform that I am working in AMD as Memory Layout Engineer via InSemi Technology of Bengaluru. I wholeheartedly thank you & Srinath sir for providing us a platform to launch our career. In all round of interview it was evident that RV-VLSI’s materials, Venky’s notes was sufficient to convince the interviewer. Your service to student community & country is immeasurable. Got placed in Frontend domain because RV-VLSI gave guidance and encouragement. Hope RV-VLSI continues to help many more like me. There are many good teachers in RV-VLSI. Both Roopa mam and Priya mam thought very well and gave good guidance in career. It covered all main topics required to build technical knowledge. I got placed of its guidance and encouragement. And I hope RV continues its name & placement opportunities to further. I thank RV-VLSI institute for helping in building my career. RV-VLSI will make you learn how to learn, I wish this course is made an optional semester to students in BE. "They’ll make you learn how to learn and will give you enough practical exposure required to make into the semiconductor industry" Being a 2015 BE EC passout and working in IT domain for about 2 years, I was wondering if I could ever make it back to the core. Finally, I quit my job, joined RV-VLSI Design Center and I guess that was the first step towards the career I always wanted. Venky sir’s guidance throughout the course will design your mind in a way that there are minimal verification checks required by the end of the course. Manjula ma’am’s advice will help you in making wise decisions during placements. If you have passion towards VLSI and you are willing to work hard, then I would recommend RV-VLSI to you. I wish this course becomes an optional semester to all Electronics students pursuing BE. Thank you RV-VLSI for your guidance to get a Job in Embedded I am happy to let you know that, I have been selected for Company AUDIENCE COMMUNICATION SYSTEM Bangalore for the Position Contract Trainee Engineer on 5th March 18, I would like say that RV VLSI was the best decision I took and I would like to thank entire RV VLSI for your best guidance to help me get a Core job in Embedded. I Got industry standard hands on experience at RV-VLSI Placed in Graphene Semiconductors. I am Padmini Edalapati. I was a B-33 RV-VLSI student. I am very thankful to RV-VLSI for excellent learning experience and RV-VLSI has given me more hands on experience on industry standard tools. I really suggest RV-VLSI for those who want to pursue course in VLSI domain. In this Institute I got assistance from Basics to Advance level I Ansly Therese Vincent took up the course ADAD B-33 Full Custom. I was very happy in selecting the RV-VLSI for my training in VLSI industry. In this institute i was given assistance starting from basics of the subject to the advance level to complete in the industry. All the staff were very good at providing technical details and making us to understand the concepts clearly. I was also assisted in preparing for the placements. As a result I could get a job offer from the product company ‘Audience’. I would like to thank all the staff of RV-VLSI Design Center for providing me an opportunity to take up the course here. Thanks RV-VLSI for allowing me to make mistakes, learn and grow I thank RV-VLSI for providing me the right environment to learn, to make mistakes and grow and for giving me the very essential experience to get industry ready. I would like to thank Venky Sir for providing me the oppurtunity to complete my course in the next batch, when I had to discontinue on health grounds. The mentors at RV-VLSI are very supportive and helpful. ADEMS coaching placed in BOSCH I am John Aswin A, ADEMS B -12, Placed in Bosch -Sales Associate, RV gave me a good personal background where I could grow in my personal areas. Embedded training gave good background, where I was taught what the industry expects from a emerging engineer. A place where to learn full embedded systems. This course was really impact in my career. Thank you RV-VLSI and Embedded Center. RV-VLSI means good experience and confidence I am Lokesh ADAD B-32 Full custom, placed in Aricent. RV-VLSI gave an excellent knowledge of Full Custom. I would like to thank to Venky Sir,Rv-VLSI gave a practical knowledge on the concepts, at the same time i got an experience. I would like to thank each and everyone. Placed in Synopsys I came to RV-VLSI hoping to gain my VLSI skills. I joined Physical Design course and was placed in SYnopsys. This was all possible due to the guidance and knowledge imparted by RV-VLSI faculty. RV-VLSI will provide hands on experience in Industry standard tools Hi, I am Mahantesh shetty, I was a student of RV-VLSI B32 Physical Design. As a fresher when i joined the course i didnt have any idea about physical design. During the course i have worked on Linux Perl and Tel scripting. RV-VLSI will provide hands on experience in Industry standard tools. Currently i am working in Synopsys. I thank RV-VLSI for giving opportunity by recognising my potential and skills. I really suggest RV-VLSI for those who want to persue their carrier in VLSI domain. The faculty is so supportive. RV VLSI has made it easy for all of us in getting placed in different companies. I am Govinda Rajulu STG from Batch 31 at RV-VLSI, placed in Cyient Ltd, Pune, via campus drive held in May 2017 It’s my passion to work in VLSI domain and which drives me to pursue Physical Design Course in VLSI at RV-VLSI, Bangalore. In Bangalore, RV VLSI institute remains the first choice for the aspirants who wants to start their career in VLSI. RV-VLSI have Very Good Tutors/Trainers in their flagship which makes us to get the thorough knowledge in VLSI concepts.? Namely Mr. Srinath, Mr. Vinay, Mrs. Priya, Mrs. Chaitra and their valuable lessons. Especially, a great thanks to Mr. Venkatesh Prasad, CEO of RV VLSI, for his fabulous dedication in terms of providing latest Industrial insights, motivation and engraved confidence within students at RV VLSI. RV VLSI has made it easy for all of us in getting placed in different companies. Great thanks to Mrs. Manjula and team for their work in getting the campus drive to RV VLSI. I would like say that RV-VLSI was the best decision I took I am happy to let you know that, I have been selected for Company Alten Calsoft Labs for Client QUALCOMM Bangalore for the Position STA Engineer on 14th March 17, I would like say that RV VLSI was the best decision I took and I would like to thank entire RV VLSI for your best guidance to help me get a Core job in VLSI. RV-VLSI is a good platform to get into VLSI industry. I am very thankful to RV-VLSI Design Center ,which made my dream come true. I have done M.Tech in Embedded systems. I was unable to get a job in the VLSI industry. RV-VLSI is a good platform to get into VLSI industry. RV-VLSI gave a excellent knowledge of Physical Design Flow . I would like to thank Venky sir, CEO of RV-VLSI & Embedded Design Center for providing me a platform where I could get a chance to enter the VLSI industry with an experience of tools which we need to work on in the industry. I would like to thank Srinath sir and Vinay sir who gave support and continuous guidance. The teaching strategy helps us to think and ponder upon the VLSI concepts I am very much grateful to RV VLSI DESIGN CENTER as it has helped me to change my dream into a reality. I have always felt knowledge in VLSI is incomplete without practical experience.I have an M.Tech in VLSI. But there is a gap between what the VLSI industry requires and what is being taught at the college level. RV-VLSI bridged this gap as it provided the industry standard tools which nourished my knowledge and interest. The teaching strategy helps us to think and ponder upon the VLSI concepts more. I would like to thank Venky Sir for providing such a platform without which my dream wouldn’t have flourished. Special thanks to all the faculty members especially Sreenath Sir and Vinay Sir, for clearing our queries and making us understand the concepts. THE COURSE PRESENTED ME WITH INTERESTING CHALLENGES RIGHT FROM DAY 1. Being a BE fresher it was a tough choice whether to join the institute and pursue my dream in VLSI or continue with my campus placement of college. Finally I decided to pursue my dream and joined the institute. Right from day 1 the course presented me with interesting challenges .The industry level tools and guidance of mentors helped me to get into Mediatek. I thank all my mentors for their continuous guidance. Industries skills and Industry exposure are the few valuable things that I gained at RV-VLSI In depth knowledge on VLSI domain and its challenges, Industry exposure, technical discussions, skills that are preferred by the Industries, are the few valuable things that I gained at RV-VLSI. If you are really passionate about VLSI, RV is the Gateway for achieving your goal. RV-VLSI without your support I would not have made it to Mindtree on my own. A friend of mine recommended RV-VLSI to me. I was hesitant in applying to RV-VLSI as I had my international masters degree in VLSI. But later I applied to RV-VLSI and my admission was wait listed as all seats were full. I’m fortunate that I got an admit to the B29 batch as a seat got vacant. Though I had experience I was missing something technically to get a better position in VLSI. Now I must say without any doubt in my mind that my decision to join RV-VLSI is a correct one and because of the course structure, teaching style and project experience that I gained here I got the confidence to work as a Physical Design Engineer. Thanks RV-VLSI without your support I would not have made it to Mindtree on my own. I’ll cherish the interactions I had here with my batchmates and the staff of RV-VLSI. I plan to stay in touch regularly on the RV-VLSI LinkedIn page and look forward to continue this relationship. I am confident now that I will enhance my expertise further. I am really Thankful to RV-VLSI design center for giving me wonderful tool ex-poser related to physical design. The staff was very supportive during duration of course,since the exposure in this domain is very good.I am confident now that I will enhance my expertise further. Thank you..
RV-VLSI has transformed me from a communication engg student to a physical design engg RV-VLSI has transformed me from a communication engg student to a physical design engg. I find its the best place to gain VLSI knowledge. One can get the best industrial experience within the institute. Rv-vlsi does not only create dreams, but also it will helps achieving it. Initially, before joining the Rv-vlsi I was having some knowledge about VLSI. However after joining Rv-vlsi, I got good exposure to Full custom in detail and industry environment. Rv-vlsi does not only create dreams, but also it will helps achieving it. I got a INR 6,50,000/- offer before I completed the course at RV-VLSI Definitely there is a huge demand for the VLSI engineers in India. What matters is how skilled they are. Students coming out of the colleges though have strong basics (both under graduation and post graduation students) lacks this skill and here finishing schools has a leading role in making the students skilled. I was one such student seeking career in VLSI and lacked such skills. Now I am in one of the leading VLSI firm with the help of RV-VLSI. I got this offer even before i completed the course with a salary of RS 6.5 Lakh. I joined the company last Monday and proudly say it is because of RV-VLSI. I am also happy that the institute is starting its centers in other states also so that more students are benefited. Good thing about RV-VLSI is first they made by Basics Strong I have completed my advance diploma from RV-VLSI batch-21.i got very good exposure to VLSI industry like what industry needs from a fresher and good thing about RV is first they make us strong in basics. The staff is good and supportive.If you have passion about VLSI this is place for you. RV-VLSI facilities is world class Changing my domain after 3 years of experience in IT didn’t sound promising to me untill I consulted Venkatesh Prasad Sir I am proud to say I am able to make my place in reputed VLSI company today which would be highly impossible without the faculty members and facilities at RV-VLSI Thank you RV-VLSI for making me learn with confidence!! Best Institute for VLSI Career Its a good institute for beginning your VLSI career. Having worked in software for an year after my B.E., I took some risk by leaving the job & put all my belief in RV-VLSI. After finishing the course, the knowledge that I obtained from the faculties of the institute and the efforts that I had put during the course duration helped me get a job in Lantiq Communications. My desired job started thereafter & now I’m growing happily in this field. Working in KPIT in Embedded domain was possible due to RV-VLSI. I’m working in KPIT as PES engineer and this was possible because of the knowledge i got in RV-VLSI, I thank RV-VLSI for providing such a good opportunity to learn. I personally thank prakeerthi sir, Sangeetha, Vinay sir, Sitaram sir, srinath sir, Lakshmi mam and also non teaching staff for their enormous support during the training period. RV-VLSI training meets industry standards This is Anil S N of batch-25(ADAD) and i got placed in CYIENT. The training we receive in RV-VLSI meets the industry standards. I thank CEO Mr. Venktaesh Prasad,Mr Vaibbhav Tharate, Mr B.K Shrinath,Mr Vinay for there continuous encouragement and support.The teaching methodology adopted here is unmatched and the infrastructure is world class. With the help of ADAD course my dream to work in VLSI industry has come true. I strongly recommend RV-VLSI for anybody either fresher or experienced to take this course for their carrier in VLSI industry. I also thank other teaching and non teaching staff for their support. I wish all my batch mates success in their future endeavors. I got good teaching and exposure to EDA tools at RV-VLSI . This is N.Siva Kumar, batch_25 student of RV-VLSI Design Center.I am very happy to say that I got placed in CYIENT as a Physical Design Engineer.I thank Mr.Venkatesh Prasad C.E.O of RV-VLSI Design Center,Mr.Srinath BK Sr.Physical Design Engineer,Mr.Vaibhav Sr.Design Engineer FPGA Design and Mr. Vinay Physical Design Engineer because their continuous encouragement,support only I reached my target.I was very impressed by the teaching methodology and exposure to EDA tools and in industry oriented infrastructure.I am happy to say that RV-VLSI Design Center is a good thing to training for various Domains. Headline: If you dream a career in VLSI the next stop is RV-VLSI. This is Prakash C S of ADAD B-25 Batch and I got placed in CYIENT LTD. I learned a lot from the course that too in a duration of six months. Whatever asked in the interviews were already discussed.We as the students of RV-VLSI always stood alone during all the recruitment process. A sincere thanks to Mr.Venky, Mr.Vaibhav, Mr.Vinay and Mr.Srinath for their support.Thanks for all the non teaching staffs for their support.For those who dream for a career in VLSI engineering the next stop is RV-VLSI. Thank you. I would like to thank RV-VLSI for providing placement opportunities at Infosys I am Sachin B Ambali, from B-24 batch. I came to know about RV-VLSI from one of my senior when I was pursuing my BE. I always wanted to join a core company, but for some reason I landed in a software job. I was unhappy with my job and wanted to change the domain. I came to RV-VLSI and I was guided and different questions were put in front of me like I would take front end or back end. I was impressed when I came to know that I would be learning about latest technology and would be using latest industry tools. I realized that RV-VLSI would help me achieve my goal, so I joined RV-VLSI. RV-VLSI bridged the gap between the academic and industry. I would like to thank all the teaching staff. Venky Sir, Vinay Sir and Vaibbhav Sir helped us with the basic concepts. I am a complete fan of Vaibbhav Sir as he changed our thought process and approach to a problem. Srinath Sir helped us with advanced concepts and he inculcated the habit of asking more and more questions in us. And finally I would like to thank RV-VLSI for providing placement opportunities, because of which today I am placed in Infosys. Joining RV-VLSI was one of the best and important decisions in my life , as it helped me achieve my goal of entering semi conductor industry. And I hope RV-VLSI helps other people like me to achieve their goal. I am working in Singapore now, thanks to RV-VLSI Hello Sir, May I introduce myself as Ravi Kumar, Working with Synapse DA. I got trained in RV-VLSI in ADAD Batch -6. With your support and guidance I was able to get a job in Physical Design. Just to flash across SanganaGouda, Ramya, Ashish, Suhas, Balaji, Tara and myself are of the same batch. If you could remember I met you when you had visited Synapse Whitefield office. Currently I’m working as a Technology Lead in physical design for Synapse India, Working across with multiple clients. Currently I’m in Singapore. The main purpose of the email is to bring to your notice that SYNAPSE is hiring fresh physical design engineers. I know each and every student who had done a course from RV-VLSI is a perfect fit for this opening. Just to bring to your notice R.Vinod (B-17), Tejonath, BVN Jagadish (B-9) who had done a course in RV-VLSI is now a part of my Singapore team. As I’m leading them all at for this client. I can closely observe their strong fundamental knowledge, Problem solving approach which is definitely unique when compared to other folks in the team and with their strong scripting skills help them to automate most of the tasks, placing them on the front line in the team. This is just bcoz of RV-VLSI and its unique course work. I though of sharing the requirement so that most of the students from RV-VLSI should get benefit out of it. I got placed in Intel and Synopsys, because of RV-VLSI I am from ADAD B-23 batch of RV-VLSI. I got to know about RV-VLSI from an article published in The Hindu newspaper. I was interested in Full Custom Layout Design and RV-VLSI is the only place which teaches that. The best thing about RV-VLSI is the teaching methodology. Here there is no spoon-feeding. We get a very good amount of exposure about the VLSI industry and also the EDA tools here are of industry standard. The concepts that I learned in the classes here and the experience I got, helped me very much in interviews of Synopsys and Intel and I got placed in both the companies. I got the confidence to talk in the interviews only because of the experience I got here. According to me, RV-VLSI is the best place to learn about VLSI and get a job in the core industry. Teaching methodology followed by the faculty is very effective at RV-VLSI The teaching methodology followed by the faculty here is very effective. The course is designed to bridge the gap between academia and industry and to make one productive very quickly. With coaching from Industry experts, exposure to all kinds of tools, virtual industry environment makes RV-VLSI a class apart. I have been successfully placed in Cypress Semiconductors as CAD engineer. RV-VLSI is more of a learning and design center than a training institute. RV-VLSI is the best VLSI industry training institution "Thank you RV-VLSI for getting me placed at ARM, I realized the value of RV-VLSI when I faced the interviewer for the first time in my life. I have completed my Physical Design Course batch-35. Now I have been placed in ARM as an Applications Engineer. I have completed my Masters from SRM University in VLSI domain. but the knowledge that I gained from the university is quite far from industry, then I started searching for VLSI industry training institute, then from one of the manager in "Xilinxs", I came to know that RV-VLSI is the best VLSI industry training institution in INDIA. Once I stepped into RV-VLSI everything changed I got confidence to get a job in the VLSI industry. I would like to thank Srinath sir, Chaitra ma’am, Roopa ma’am for the continuous support to us in learning the knowledge, the best teachers that I have seen so far. I am really thankful to CEO Venkatesh Prasad Sir for inspiring us,teach how to learn and for his support throughout the course. I do still remember his first-day class how he motivated the students and the class about resume building, thank you, sir, thank you so much for everything that we have today in our hands. Last but not least I would also like to thank HR Manjula ma’am, ma’am your the best in how to guide students in interview time and your motivational words and your suggestions help us to crack the interview. Thank you RV-VLSI for the knowledge and confidence you gave me to face the real world. I think RV-VLSI is responsible for my success Thank you for giving the wonderful opportunity to achieve my goal in VLSI industry.RV-VLSI helped me a lot to get success. Once more thank you for helping me. Brand RV-VLSI means— Best Place, Best tools, Best Teaching. My dream come True. RV-VLSI is the Brand. its best place, best tools, best teaching it made my dream to come true. i would like to thank all faculty and management of RV-VLSI. Best VLSI training Institute In India. Thanks to RV-VLSI faculties who are exceptional, I got placed in core field Hi, this is Ganesh shetti from ADAD B-36. I always wanted to get in VLSI industry but unfortunately I couldn’t do that during my bachelors. Later my friend suggested RV-VLSI which was a turning point in my life. I joined here for Front End where I came to know more about RTL design and verification thanks to our faculties who are exceptional. Now I got placed in smartiops with good package all thanks to RV-VLSI. RV-VLSI made me employable in good companies like Samsung My qualification was Mtech in VLSI, The main reason for me to get into RV-VLSI into RV-VLSI is to gain good hands on experience in the field of Full Custom. None of them referred me to RV-VLSI and nobody suggested me to it, because hit brands (RV-VLSI) don’t need any advertisements or suggestions. The main aim of mine was getting into a good core company and RV made it true by making myself to get markable by good companies. The CEO of RV-VLSI Venkatesh Prasad Sir encouraged us in most of the tough situations and as a result i got placed in a well known MNC like Samsung. The HR Manjula mam introduced our skills to company like Samsung hence I got placed there, I heartfully that CEO, HR and teaching staff for their continues support in all the situations. I finally wish to say the quality brands and the most happening brands doesn’t need marketing and thats RV-VLSI. RV-VLSI training is different from other institutes I learned many things here. The institute helped me grow as professional. Nothing compares to the training provided in RV-VLSI. Industry similar tools and the projects provided really helped me hone my skills and knowledge. The vast knowledge of all the highly experienced staff was a big plus point in the training and I am very thankful for that. Post training placement support provided also was very good. Thanks to RV-VLSI for helping me make my dream come true I am writing this mail to thank RV VLSI for helping me in achieving what I dreamt of. I am very happy to inform you that I have been placed in Juniper Networks as ASIC Engineer-2 from Aug-2018 with a package of 14.54 LPA. This would not have been possible without RV VLSI, I am very grateful to Venky sir and Srinath for their support. Thanking all one again. Kurnool ---—> RV-VLSI ———> Intel Malaysia, thanks RV-VLSI RV-VLSI is a well know brand for providing quality training and placements. What impressed me the most is that they also provide sound advice and help their students make the right career choices when we approach them for guidance. They are a group of people who are doing this service with good intention and willing to go over and above the call of duty to help their students. Working in core domain has always been my interest which led me to join this institute. I am happy to share with you all that I have been placed in Eximius design for Intel at Malaysia. Starting my career with such a big firm and with an onsite opportunity would never have been possible if not for RV-VLSI. For the people who are passionate to learn, RV-VLSI provides every facility available from expert faculty to industry standard tools to career guidance. The guidance provided by Roopa mam in learning all the concepts is exceptional and helped me in understanding with ease. Venky sir and Manjula mam have been very supportive and motivating during my interview process and through the course period as well. Apart from getting a great start for my career, I have also been lucky enough to make good friends here, who are a great treasure. My best wishes to RV-VLSI to continue to fullfil the dreams of many more aspirants like me in future. Did course in ADAD-FE got placed in Sasken, Very happy. Myself, Meghana B Ganesh have completed the RTL Verification course at RV-VLSI (October-2017 to March-2018). I am extremely happy to say that RV-VLSI provides quality education/experience to the students. The teaching is extremely good. The guidance provided by Priya mam and Roopa mam is very supporting and inspiring. They have guided us very well and trained us well in the course. I am always proud to say that I am a student of RV-VLSI. With their teaching you will be able to explore more and get expertise on many concepts I had a wonderful experience of doing course on Physical Design from RV VLSI. It has provided me very good opportunity to learn theoretical and practical aspects of Physical Design and other VLSI concepts. Lab facilities are excellent and I could get the hands on experience of working on real time kind of project by using industry standard tools and advanced technologies. The trainers have good industry experience. With their teaching you will be able to explore more and get expertise on many concepts required in industry. RV-VLSI also assisted me to get placed in Intel. When you combine coaching and guidance from RV-VLSI with your effort, you will be able to clear the interviews with confidence, succeed, and get your dream job for sure. So I would like to thank RV VLSI for all their assistance. I’m happy I got such a good offer, Thanks RV-VLSI Good platform to know new technologies, excellent trainers(Embedded System). Hands on experience which is plus-point for industrial point of view on tools. Great work culture. I am happy that i got such a good opportunity in my career. I was able to explore my inner potential because of RV-VLSI My Journey at RV-VLSI. I did everything that I could to finish my Engineering. RV-VLSI has shaped my life, I was able to explore my inner potential, get through industry exposure and knowledge and gain employability skills which is very effective. Lecturers with immense industry knowledge gave all of us the extra edge to stand out in terms of specific to practical subject knowledge and gain interview oriented skills. Good Management, friendly staff, good infrastructure and Excellent placements – In short this is RV-VLSI Thanks RV-VLSI This is Subhash Chandra Bose Reddy, I am a former student of RV- VLSI design center, have taken 6 months training in Full Custom layout design. Before comimg here I doesn’t have good knowledge in CMOS design and after I joined here, now I am very good at CMOS and all VLSI topics. After my course completed I got a job in Si2 chip company. I will refer those who are interested in VLSI design to RV-VLSI because the infrastructure, staff, management all are very good here. Positives : * Good Management * Friendly staff and also industrial experienced staff * Good Infrastructure (Industrial standard infrastructure) * Finally excellent placement department After completion of this course, those who have capabalities surely they will get job. Before coming to RV-VLSI, I was not able to crack VLSI Interviews. Now I am placed – Thanks RV-VLSI This is Suhas N S from ADAD B-33 Physical Design. Even though I had a master degree in VLSI domain, I was not able to crack into the VLSI companies because of lack of practical exposure. RV-VLSI provided us the right platform to explore the VLSI concepts practically with the hands on exposure on tools. First 2 months of theoritical classes helps us to refresh our electronics concepts and was very helpful in cracking intervies. I would like to thank RV-VLSI and the staff for the kind support in this successful endeavour. Thank You. 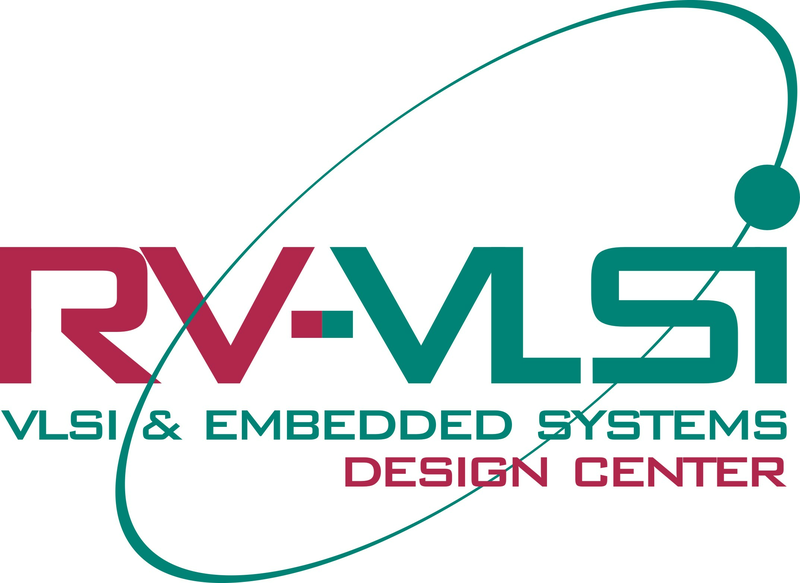 Very Happy to Join RV-VLSI Joining the PD course at Rv-VLSI helped me to gain knowledge from VLSI basics to Physical Design flow. The duration of 6 months helped me to gain both hands on theoretical and practical knowledge. We got exposure to using tools which made me industry ready and I am happy to be placed in SI2 chips. I thank the faculty and management for their co-operation to attain a job in core VLSI company. RV-VLSI adds value to my engineering Degree I am Khaleeluddin student of RV-VLSI. Its a very good place and a very environment to add value for our degree. Our CEO is very nice person and other staff is also co-operative with students. A place where students and faculty also works hard such that the students should get placed into their dream companies. Thanks for all staff members of RV-VLSI for giving me an opportunity to learn so many things and getting placed. RV-VLSI helped me to begin my career in VLSI Industry I came to RV-VLSI with poor basic knowledge, but after joining RV-VLSI, I learnt most of the basic things. My friend suggested me to join RV-VLSI by which i made a major decision and joined Physical Design and got placed in Synopsys.I would really like to thank Mr Venkatesh Prasad for giving such opportunities to students which expose them to experience and knowledge needed and practised in industry. Course curriculum is purely industry oriented. I am Sachin Rai, I have been placed in Synopsys as a graduate engineer trainee. I was from B-33, I would like to thank all my mentors i,e Srinath, Chaitra and Priya anantha Krishnan for the guidance. I would like to suggest all of you that if you are looking for job in VLSI industry this is the right place to be, the course curriculum is purely industry oriented. Once again I would like to thank all my mentors and staff for the support. Thank you for your support and concern RV-VLSI. This is Sunil Pulibandla. I’m student of RV-VLSI Batch-31. I would like to inform you that recently I’ve got placed in Si2 Chip Technologies as an Associative Design Engineer and joined in my position on 06-07-2017. I would like to thank you and RV-VLSI for the valuable guidance during the course that made me to building up my confidence to get placed. Thank you for your support and concern. I learned a lot about System Verilog UVM that industry expects me to know, thanks RV-VLSI Thanks for the opportunity for being a part of RV-VLSI and Embedded Systems Design Center. I learned a lot about Verification that what was required for the Industry. And sweet news is i got placed in Mindlance TechSolutions Private Limited as a Verification Engineer. Thanks to RV-VLSI and convey my regards to Venkatesh Prasad sir and Faculty. Especially Mrs. Priya Ananthkrishnan. Practical skills from RV-VLSI helped me a lot in my Career I Anmol Jain of batch-30 Physical Design domain joined Tessolve semiconductors on Friday.It was all possible due to theoretical as well as practical knowledge given at RV-VLSI. Thank you once again sir. RV-VLSI Helped me begin my career in a start-up company Got placed in signal chip innovations last friday(13th jan). They asked me to join on 16th jan(monday) and i agreed. As it happened too quick and i was really excited as it is my first job, i was’nt able to come to the institute to inform about my placement, and i really apologize for it. But I ensure you that i’ll come personally to the institute with a box of sweets as soon as possible. I am really grateful to the institute, faculty members and you for giving me an opportunity to be a part of such a wonderful course. Without your help it was not possible for me to even think of a job in core industry. I am really indebted to you. MY CAREER LAUNCH WAS POSSIBLE WITH TOOL EXPERIENCE AND KNOWLEDGE FROM RV-VLSI I joined RV VLSI in the Physical Design course. Before joining I had a vague idea of the crucial concepts of PD. With guidance from my instructors here I was able to gain in-depth knowledge about the concepts. I would like to thank the instructors and the management of RV VLSI Design Center for providing me with the knowledge and relevant tool experience and thereby successfully launching my career. RV-VLSI made me work hard and use more portions of my brain Being a fresher, it was not easy to achieve what I wanted. That’s the reason I joined the course, with some expectations. RV-VLSI has come up with all my expectations as content and presentations by the facilitators was consistently high quality and engaging. Most importantly, each session provides an excellent review of the challenges and opportunities inherent in each area- while challenging us to clarify and find our own answers. I felt this technique of "NOT SPOON FEED" was really beneficial because it makes me work hard and use more portions of my brain. I learnt so much that was relevant and fun and also training was 100% useful, interesting and interactive. Thanks for all your great work and dedication towards us. RV-VLSI + Hard work and dedication = Job in VLSI industry RV-VLSI made my dream real I came to RV-VLSI with a very poor basic knowledge and soft skills. Now I am working successfully in a leading company of the digital world. Major decision of my life was in joining RV-VLSI. Vinay and koushik are such humble faculty,who helped me in getting strong basic knowledge and confidence. Srinath is an awesome guide, I just followed his each and every advise, he is best the mentor to make a student into a productive candidate. Finally, Venky who helped me at each and every stage, his advice is the reason for what I am today.Thanks for all your support. By Joining RV-VLSI I got good opportunity and great exposure in the field of VLSI. I am writing this review at my atmost interest. By Joining RV-VLSI I got good opportunity and great exposure in the field of VLSI. RV-VLSI DESIGN CENTER is the best platform any BE/M-Tech graduate can get to get into a core company. The institute exposes you to industry standard tools and methodology wherein you are encouraged to make mistakes and correct yourself so that you don’t repeat it. Felt an industry environment here RV VLSI DESIGN CENTER is the place where i came to know my ability to learn and succeed. I really felt an industry environment here. Firstly I would like to thank Venky sir, CEO of RV VLSI DESIGN CENTER for providing me a platform where i can get a chance to enter in to VLSI industry with an experience of tools which we need to work on in the industry,for guiding me by considering my feedback inspite of his busy schedule .I would like to thank all my faculty members for teaching me in a good way. I would like to thank manjula mam for being supportive and encouraging. I would like to thank each and every one here for being part of my success. My knowledge and skills enhanced Because of RV VLSI Design Center. I am Gadigappa Kademani from B24 batch. Igot placed in Intel india private limited through RV VLSI Design Center. I would like to thank Mr.Venkatesh Prasad CEO RV VLSI Design Center and all staff members.My knowledge and skills enhanced Because of RV VLSI Design Center. Concepts were taught clearly which helped to crack interviews. As far as I know, RV-VLSI is the best institute for VLSI training. The institute gave me a real time industrial experience like working on a Mentor Graphics tool...... The staffs delivers the concepts clearly which are essential for cracking the interviews. Advanced Diploma in ASIC Design(ADAD) is the better course to do after your Bachelor degree if you want to start your career in VLSI industry. RV-VLSI helped me in pursuing my Master in VLSI I did my project in Backend design -VLSI here. Being a B.E student i was always interested in pursuing a Master’s program in VLSI. When it comes to college, practical knowledge with respect to VLSI is limited. Here in RV-VLSI we get a hands on experience on the latest EDA design tools used in the industry and this has provided me the required launchpad for my career. I thank RV-VLSI for this opportunity. The level of knowledge and exposure imparted at RV-VLSI is really amazing. Had a great experience with RV. I first started off with Bridge Course at RV. The important thing which attracted me to get in for a full time course was the experience during the Bridge Course. The quantity and the quality of knowledge imparted in 8 days course was amazing. We were given exposure to hands on too during such a short span and the syllabus was so vast yet the concepts imparted were crystal clear. So I got a strong foundation of the logic design concepts during that course. The Bridge Course gave me strong idea about RV and its quality which led me to get into full time course of RV to follow my passion to work in VLSI Industry. I could never afford to miss Venky sir’s class. It was always so informative and important. The level of knowledge and exposure imparted here is really amazing. All the SME’s here are reachable and very friendly and always ready to help out. I would really like to thank Mr.Venkatesh Prasad for giving such opportunities to students which expose them to experience n knowledge needed and practiced in industry. RV-VLSI Design Center build my confidence. I wholeheartedly thank Venky sir for building up confidence in me, his words were very powerful that made me to put effort and to get a job in Robert Bosch. Teaching staff that we had was very good, Prakeethi, vinay, Lakshmi, sitaram, srinath thought us effectively and I’m thankful to them. The first time i visited RV-VLSI the face of RV-VLSI was Akshata and shruthi madam they invited very well thanks for them for their support. The placements were good, I also thank sangeetha and other non teaching staff for their support. Quality of training in RV-VLSI Design Center is Exceptional Hi Akshata This is Navaneeth C P (ADAD Batch 25), and I got placed in Cyient. After completing MTech, I wanted to join in a VLSI training institute to improve my practical skills in ASIC Designing.I came to know about RV-VLSI Design Center through my friend who had taken the course here. Quality of training in RV-VLSI Design Center is exceptional.Challenging project works which offered hands on technical experience helped me in a great way to find a job of physical design engineer. I thank Mr.Venkatesh Prasad, Mr.Srinath B K,Mr.Vaibhav, Mr.Vinay for their guidance and motivation throughout the time of course with that only I could able to reach my target. RV-VLSI helped me to change from software to my dream career in VLSI Industry. This is praneeth from ADAD-B25 Batch .My uncle referred me RV-VLSI to change careers from software to vlsi Industry.RV-VLSI provided me with Hands on experience with projects using Industry standard EDA Tools. RV-VLSI helped me from knowing concepts to applying them in live projects.Here in RV we have an environment where we learn new concepts and applying them on projects ,which helps very much developing our analytical skills.We learn how to work in a team.Whenever we have a problem Srinath Sir is very helpful in providing guidance.Because of RV-VLSI training i am able to get a job at synapse design. NIT Calicut gave theoretical knowledge, RV-VLSI gave industry exposure. I am Ashik Chandran from B-24 batch. I was referred to RV-VLSI by one of my brother. I did my Mtech from NIT Calicut and had somewhat good theoretical knowledge. But I lacked the industrial knowledge which was required to get a job in core companies. RV-VLSI provided a good industrial exposure that bridged the gap between my academic and industry. I have been successfully placed in Infosys limited as Physical design engineer. The teaching methodologies was very good at RV-VLSI. I sincerely thank Venky Sir for the industrial knowledge he has imparted. I thank Kamath Sir for providing me all the placement opportunities. I thank Srinath sir for all his support in my project. I thank Preetham Sir and Vaibbhav sir for their support which helped me crack my interview. Finally I also sincerely thank Vinay sir for his informative classes and the support he gave. Training at RV-VLSI lays greater emphasis on concepts and practical skills. The industry-like setting, with expert faculty has been a truly enriching experience. The training lays greater emphasis on concepts and practical skills. Its been a great learning experience on the whole. I think RV has provided me a frm foundation for a successful career in VLSI. Vice President SmartPlay Technologies (I) Pvt. Ltd.
Do you have any new batch of VLSI students ready to be placed. We are looking at graduates who have undergone a course with RV-VLSI. Candidates need to have 50% in 10th, 60% in 12th & 65% in their UG. Kindly send me the list of eligible candidates before I can confirm on the hiring. As we discussed over the phone, I am arranging written test plus F2F interview on Monday. It will be a whole day activity from our end. We will be selecting candidates towards our Full Custom Layout team as ICE. We are fine to consider candidates from the PD domain too. I will be sending individual mails to them and request them to respond if they are interested in the position with us. Nice to hear about you from Mr. Omkesh, who was trained from your institute. We are looking for somebody who can work for the PD for some of our project activities. If you find suitable candidate please refer to us, we can recruit them in the project. Thanks a lot. Greeting's from Lantiq . We are looking for students from RV-VLSI . I shall share the domain requirement at the earliest . The interview procedure will be the same as of previous one Written test Technical interview HR Discussion. Please let us know the students availability based on the requirement shared .